!!!!!!!!!!! 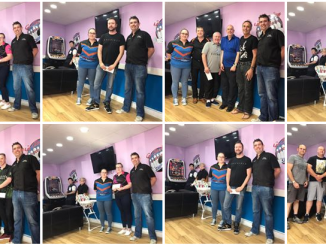 !BTBA ADULT TOUR STOP 7 – SHIPLEY HANDICAP DOUBLES!!!!!!!!!!!!!!!! First of all I want to thank everyone who made the trip up/down to sunny Shipley. We have had some amazing scoring today. We used our #kegelflex to put down the recreational pattern Big Ben with the ice conditioner forward and fire conditioner in reverse on our high friction #Ximalane surface. Also I want to give a big shout out to Dominic Gall from Talk Tenpin for doing a bit of live streaming and creating a great video please have look below. I would like to congratulate Gavin Greaves for smashing in the only perfect game of the tournament and making Shipley lanes have a new house record of 857. We had a lot of close calls including power plays big chief Alex Hamilton with an amazing 299 game in the 4th game of qualifying. The winners of this year’s doubles event was the Mortal All-stars who consisted of Ricky Froldi & Paul Ryder from up north so a huge well done to them. 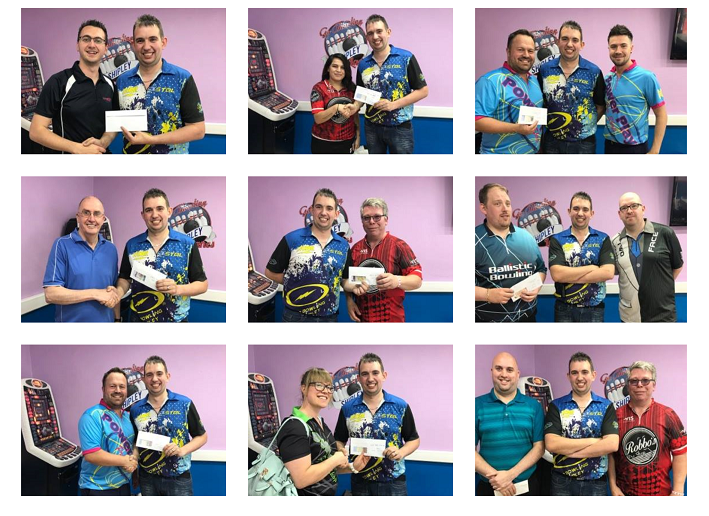 We had 12 entries in to the team game scratch pot and we paid this 6:1 ratio at 70/30 1st went to Powerplay Nuneaton with a 536 game and 2nd went to Team Ballastic Bowling with a 525. To fill the 9:00am squad Basher (with B&P Fabrications – Leicester Ltd) introduced an early bird special of £25.00 per high scratch game. The winning team will receive a 2017 tour shirt courtesy of Striking Shirts this is The Mortal all-stars. The big chief from Power play said if anybody wearing a striking shirt gets a 300 he will give the bowler £50 this went to Gavin Greaves for his perfect game in game 3 squad 2. 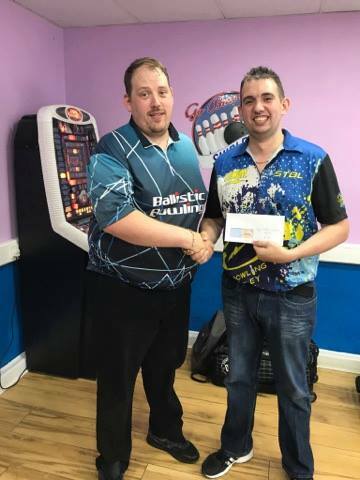 The top scratch individual within qualifying who was also Gavin Greaves with a whopping 1598 scratch (266.3ave) wins a ball courtesy of Track Bowling. 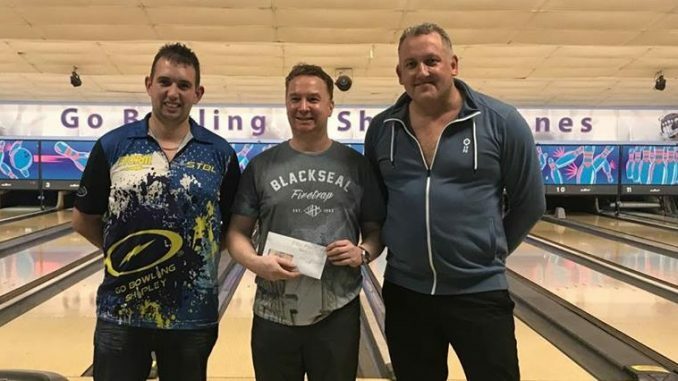 Thank you once again for bowling this event and making it a success and if you would like to know anything about tournaments that we host down at go bowling Shipley please check us out on facebook Go Bowling – Shipley Lanes, @Shipley bowlers club & Power Play Pro Shop – Shipley.